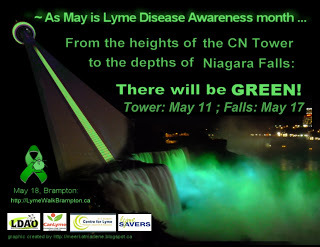 Early in March, it was announced that Niagara Falls would "turn green" for Lyme Awareness month on the 17th of May. The Peace Bridge (between Canada and US) will also have green lights shining on it from dusk till 1.00am. 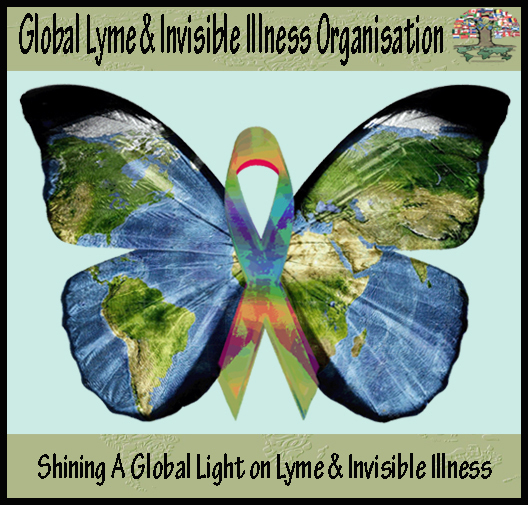 CN Tower, Toronto would go green on May 11th to coincide with Worlwide Lyme Protest Events.